Mahindra and Mahindra despite their US debacle have got its plans for India correct. Inspite of the plans by global players trying to enter the Indian market with their wares, the Indian company has planned about 3 new SUVs for the calendar year 2011. However most of the foreign car makers are targeting the upper echelons of the SUV segment, Mahindra and Mahindra are looking forward to rendevouz the lower strata as well as the middle strata of the SUV segment. Their expected launches for the 2011 year include the company’s new global platform SUV, the W201 followed by the Rexton and Korando, which are part of the dowry package that Mahindra and Mahindra received from Ssangyong motors. 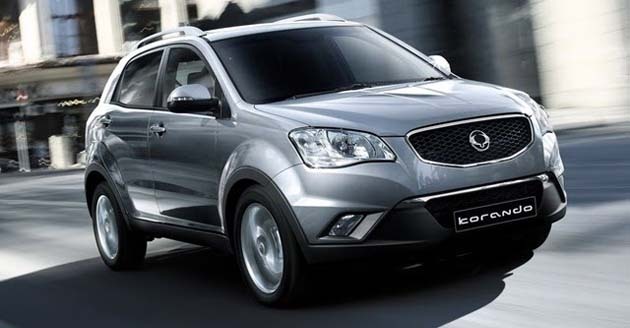 The latter of the Ssangyong vehicles would be priced at approximately Rs 20 lakhs. Come next year and the desi company would be launching a mini Xylo, which is a concept designed to take on the under 4 meters excise benefits. It would compete with the Premier Rio and also the Skoda Yeti. The Mahindra Scorpio which has so far had a dream run, would find a new platform and an all together new form as well. Moreover to increase its 2nd hand car sales, the company is striving to build a better brand image in the minds of the Indians. For this very purpose, new ‘Adventure’ team has been formed which would actually interact with various Mahindra owners and organize off-roading events for them as well as give them tips and suggestions to maintain their vehicles in pristine condition. Currently the company sponsors the Mahindra Great Escape and which happens 10 times in a year. The new suggestion put forth by the company board is to increase it to 20. This way, the company can connect more with its esteemed customers.